The Media Stub File is a simple text file with the extension .disc instead of .txt extension. 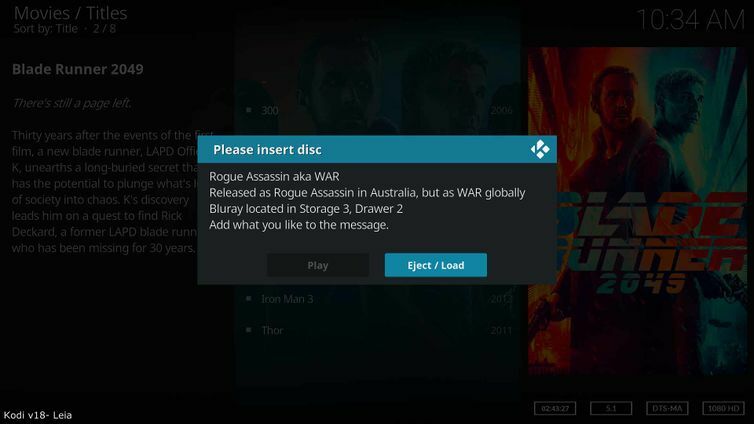 Once the file is saved correctly, Kodi will see this file as an unplayable media file. Create a blank text file and rename the filename in accordance with proper Movie and TV Show Naming Conventions. Place the file in the Source as you would any other movie in your Source. 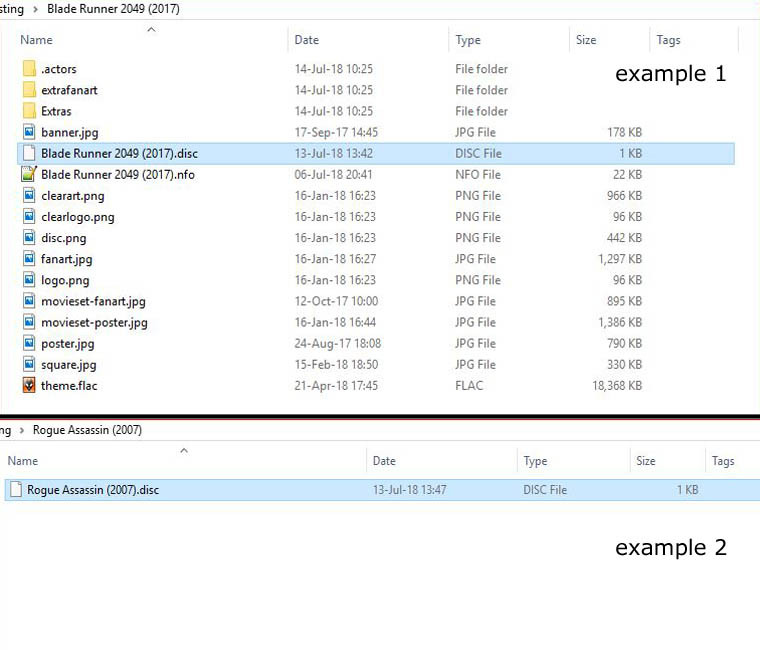 Example 1- Media Stub file in a movie folder with local artwork, actors, Extras, NFO File, theme etc. Example 2- Media Stub file without local information and ready for scraping. Once the disk is inserted, the Play button will become active. Press Play to commence playback. It is possible to add messages to the pop up box as shown in the above image. The above image uses the following code placed inside the stub file. Longer messages will automatically scroll. The <message></message> tag is optional. Use only one set of <message> tags as multiples are ignored. This modification requires inserting the following code into the Advancedsettings.xml file. Using the following tags, it is possible to <add> additional or <remove> existing disc stub extensions to better suit your requirements. This page was last edited on 14 July 2018, at 02:02.